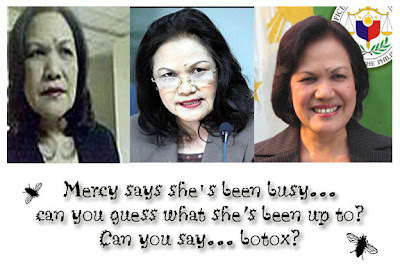 Stella Arnaldo's Blogspot: Mercy, mercy me! The case against the Ombudsgirl. THE FACES OF EVIL RUNNING THIS HOPELESS COUNTRY. WHAT A SICKO. PRAY AND STEAL. CATHOLIK MOTTO.